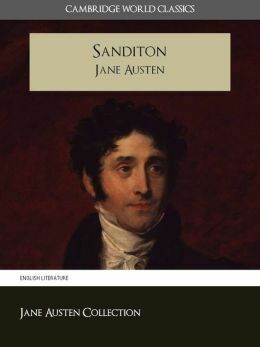 This piece of work was one that Miss Austen never got to finish. She died before being able to complete this. So it is a hard rough draft for sure and only about 60 pages (depending on what edition you read). Even though this was never finished it is a must read, especially if you are an Austen fan. It is interesting to see a work in progress by an accomplished author like her. There is not a lot of plot here. It just seemed like possible scenes and possible dialogue. There is some character building that began but there was still some work to do. I do want to read some "completed" versions by other authors...just for curiosity-sake.I do feel like this would be fun to explore. I wish that Miss Austen was able to complete this, because I do feel like this might have been a really popular one. It sure was good in just the little she left us. Now that I have all her works read, I am not sure where to go now. LOL. Maybe I can do some re-reading and write reviews for those that do not have my "official" review on here. We shall see...I do have lots to read. On the other hand...I am addicted to her works.....soooo we shall see. Again, this is a rough draft, but worth the read just to see what might've been. I'll give this a 3. B, I thought I had too, but I realized I didn't recall a single thing. Melliane, it's not her most popular for sure. Ana, yes! Interesting indeed. I do wish she would've finished this.